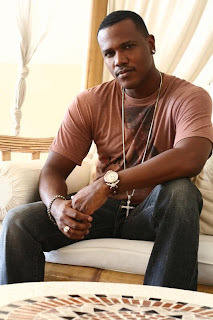 International soca pop star Kevin Lyttle debuts the video for his sizzling single, “Wine And Go Down,” which was released in November 2011. This is Lyttle’s first video from his highly-anticipated upcoming album, which is currently in production. Released on his very own Tarakon Records, “Wine And Go Down” exemplifies the artist’s versatility as he embraces the role of a deejay/rapper to fuse with his acclaimed signature vocal-style, forming this hybrid of island soca and pop club fusion. The singer/songwriter teams up with Richy Peña (talented music producer of the Latin Grammy-Winning album Mi Niña Bonita), for the hit track, which has been making the rounds internationally on radio and in the clubs. The video was directed by Hamlet Mark from Grenada, and was edited by a team that included Kevin Lyttle, Jacqueline P. James-Lyttle, Hamlet Mark, Parick Ramdial, Christopher Persaud, and Mark Shapley. It was shot on location in Miami and will see an official launch on Saturday, March 23 at the Blue Martini in Kendall, Miami. The red carpet event will be open to media and the public. Lyttle shot to international fame when his smash hit “Turn Me On” grooved all the way to number four on the Billboard Hot 100 Pop Chart, representing soca music in the mainstream market in a way that’s never been done before, and hasn’t been done since. The track was from his self-titled debut album on Atlantic Records, back in 2004. Kevin Lyttle is now available for interviews. For all inquiries and to attend the video launch, please contact Tarakon Records at 786-284-1001 or tarakonrecs@gmail.com or FOX FUSE at 212-300-3813 or contact@foxfuse.com.